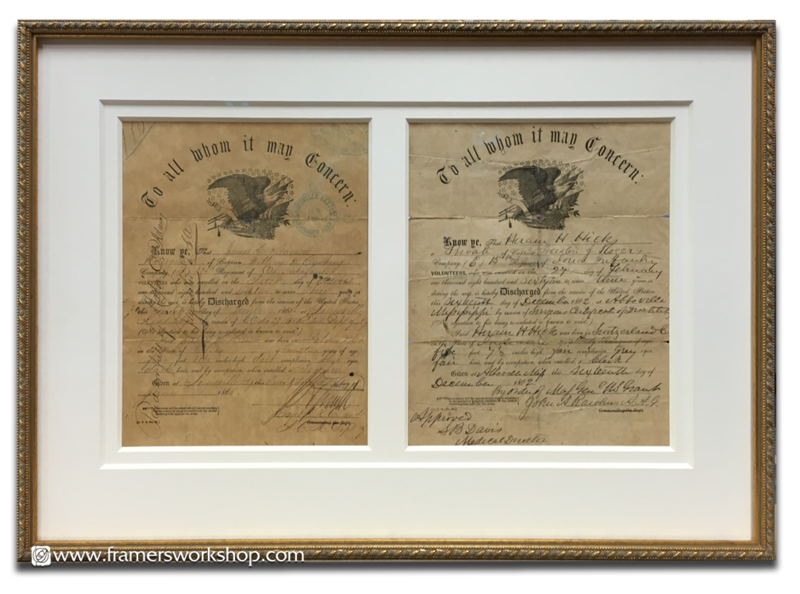 Two Military Discharge documents dating from the mid-1800s. Double opening, double 8ply mats on the front and back. 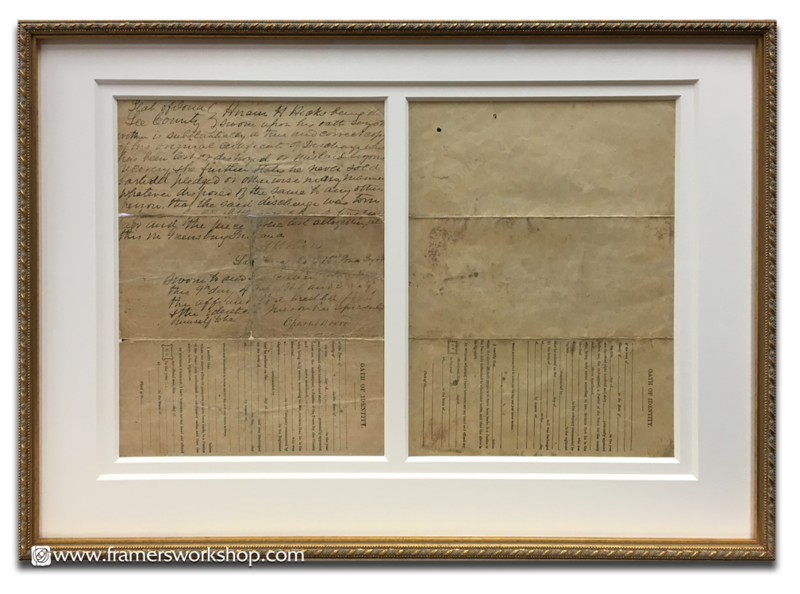 Double ornate gold frame. Museum Glass on both sides.